Anfenwick: Girl Geniuses I grew up with. Thanks to Loncon 3, I belatedly discovered Agatha Heterodyne, Girl Genius. She's Phil and Kaya Foglio's comic strip heroine and I'm loving her so far. She inspired me to post about the girl geniuses I grew up with. Mine are French and Japanese-living-in-Belgium respectively, because that's the language zone I grew up in. Hmm... only two of them. Are there any more out there? 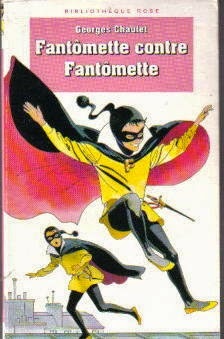 Fantomette's 52 adventures were written by Georges Chaulet between 1961 and 2011 for children in the 7-11 age bracket. That's about the age I was when I was spending my pocket money on them back in the '70s. They don't seem to have ever been translated, but hey, all you French learners out there - this is very accessible stuff! Yoko is more of a woman genius because while Fantomette is in her early teens, Yoko is in her twenties. She's an electronics engineer AND supremely clever, brave, competent, compassionate, etc, etc. 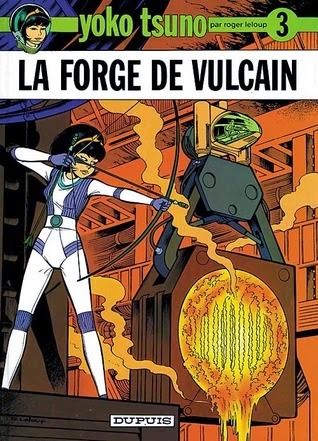 She's Japanese, based in Belgium and travels the world, visits other planets and even goes back into the past. If you've got a favorite girl genius of any date, language or nationality, please let me know. We have always reclaimed our stories on Anfenwick.